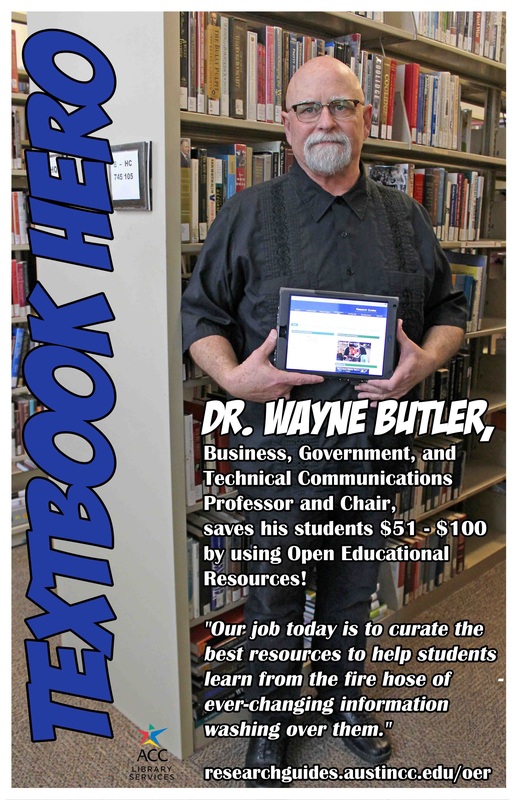 Open Educational Resources: Textbook Heroes! Library Services identified over 45 ACC faculty who are supporting student success by working toward removing the barrier of high cost course materials. These individuals are teaching with Open Educational Resources, free, or other low cost course materials. 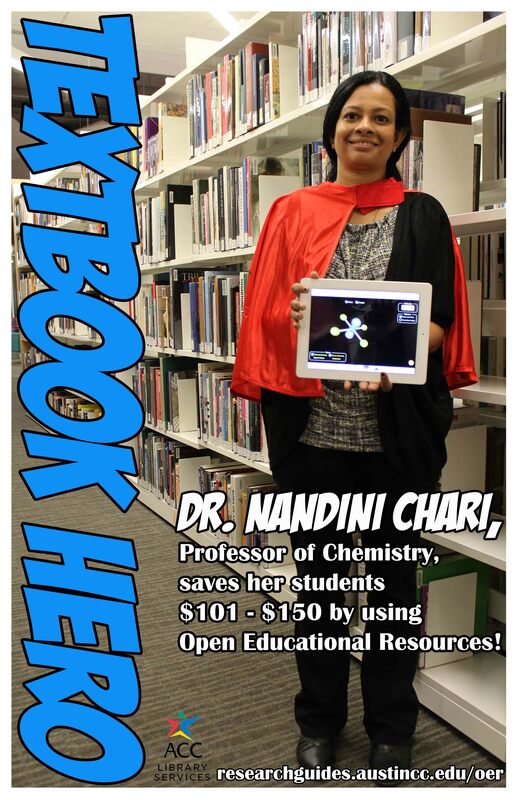 Below is a growing list of the ACC Textbook Heroes (more photos and profiles coming soon)! 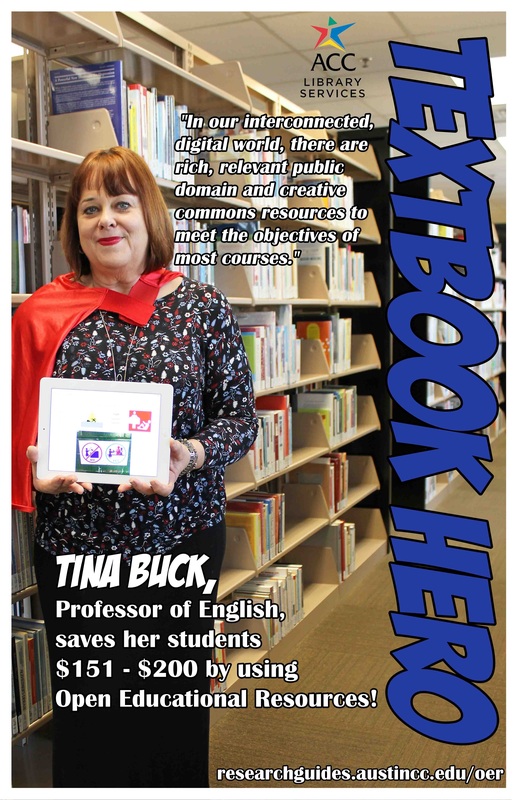 Are you a textbook hero? 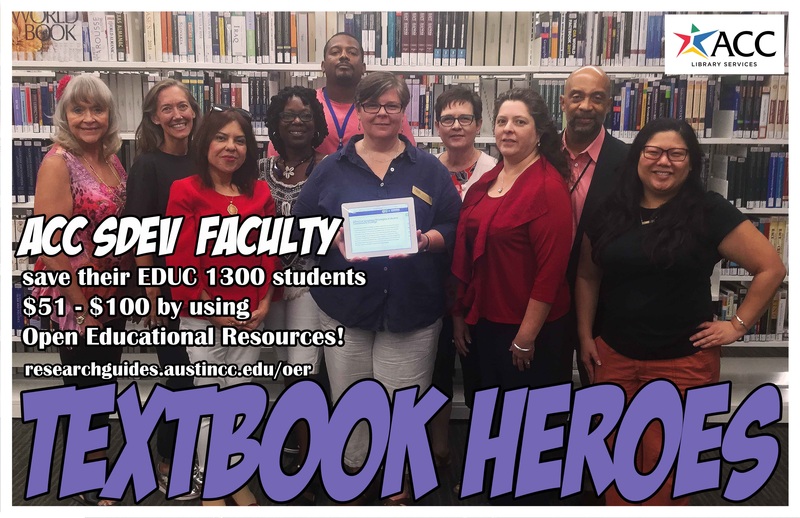 Is someone in your department a textbook hero?